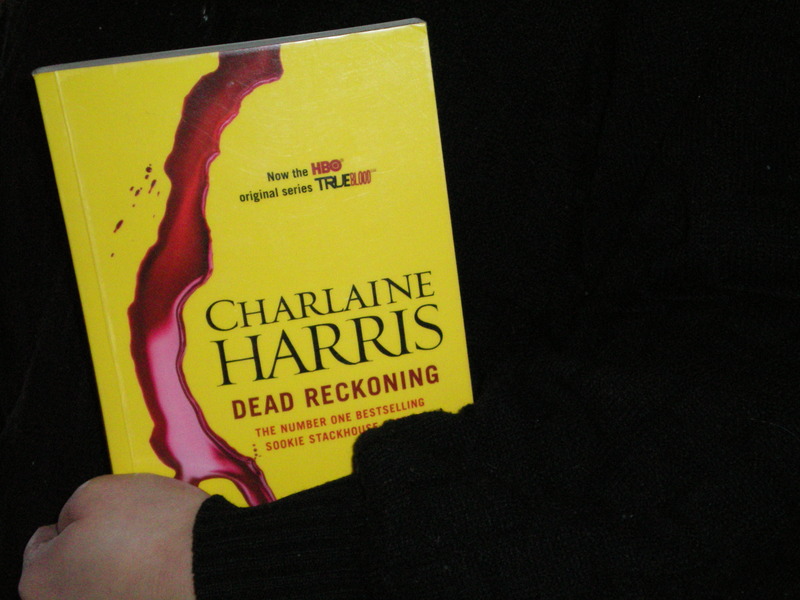 To celebrate the start of True Blood’s Season Four, I planned on reading Charlaine Harris’ latest Sookie Stackhouse novel, Dead Reckoning. Unfortunately, when I got to the public library, it seemed like everyone else shared the same idea: there were fifteen reservations before mine. True Blood’s Season Four would be done and dusted before the library copy reached me. I held out from seeking comfort in Readings, however, and was pleasantly surprised when I received an email from the library a month later. Dead Reckoning was ready to be collected. The library and I have an on and off and on again relationship. At times, I borrow twenty items every month; other times, I buy from bookstores instead. It can be sad, feeding novels that I’ve fallen in love with through the after-hours slot, and painful, racking up a ten-dollar fine because I forgot to return an item, but if it wasn’t for my library, I would have never discovered writers such as Jane Austen, Christopher Isherwood, and J.R.R. Tolkien. Now that I have a mortgage, I am trying to make the most of my library. Not only do I borrow books, but I also sample music, DVDs, and magazines. The other day, I picked up the first season of Sanctuary, and decided that I hated it. I also found BBC’s Hornblower, which was much more my kind of thing; it’s only been a week and my partner and I are already up to disk six. Signing up at the library is easy: just turn up at the information desk with some identification that has your name and current address (i.e. a driver’s licence) and somebody will organise a library card for you. 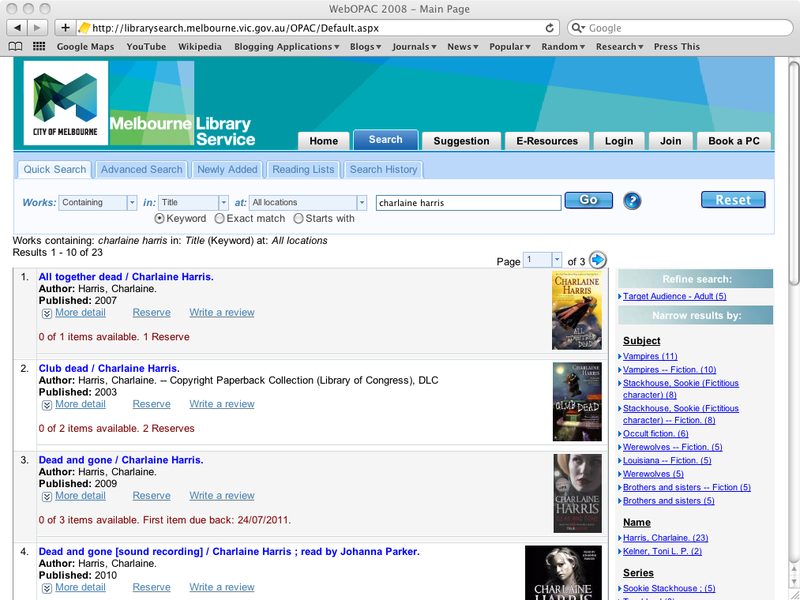 Most libraries have online catalogues, so you can search for your item from work or home. You can also make reservations online (check to see if there’s a charge first), and the library will notify you when the item is available. If a library doesn’t have what you’re looking for, make a request. You’re paying council rates, aren’t you? You might as well have a say in how the council spends it.